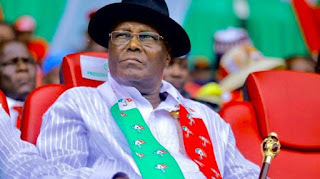 Atiku Abubakar, the presidential candidate of the Peoples Democratic Party (PDP), says his ambition is not worth the blood of any Nigerian. Speaking at the signing of the national peace accord ahead of the February 16 presidential election, the former vice-president called on security agencies not to arrest opposition leaders 24 to 48 hours before the election. “May I use this opportunity to renew my profound gratitude, firstly to my party, the Peoples Democratic Party (PDP), and then to General Abdulsalami Abubakar and members of the Peace Committee for their tireless enthusiasm, dedication, and passion towards ensuring the success of this Peace Accord Process,” he said. Atiku called on officials of the Independent National Electoral Commission to remain neutral.